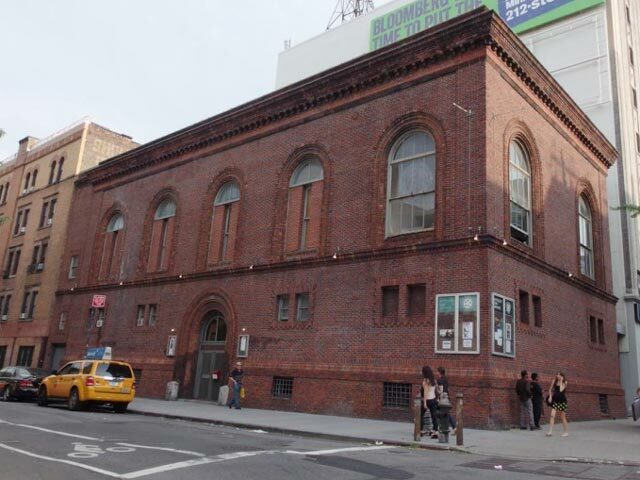 32 2nd Avenue [Bowery Boogie]: Anthology Film Archives are planning a five-story vertical expansion of their two-story building at 32-34 2nd Avenue, in the Bowery. The landmarked building’s height increase will be financed by a wealthy European donor, although no applications or public records have been submitted in conjunction with the project. 520 East 117th Street [Curbed]: New details have emerged on a development that would bring 1,000 apartment units to East River Plaza, at 520 East 117th Street, in East Harlem. A public meeting revealed massing diagrams that show three towers spanning a total 1.1 million square-feet, “looming 36, 42 and 48 stories high.” Blumenfeld and Ratner have already filed pre-applications with city planning; Ten Arquitectos is designing. 131 Emerson Place [Fort Greene Focus]: Pratt Institute — the owner of 131-137 Emerson Place, in Clinton Hill — “has approvals for a 17-story, 110-unit residential tower,” and demolition permits for the existing two-story structure at 218 Classon Avenue have just been re-issued; the majority of the site is vacant, and construction is likely imminent. 1738 Harman Street [Wyckhoff Heights]: Previously disclosed by YIMBY, NJK Consulting has revealed designs for twin four-story and six-unit residential walk-ups at 1736-1738 Harman Street, in Ridgewood. The buildings will feature fourth-floor terraced setbacks, and will be clad in red brick. A one-story structure has yet to be demolished at 1738 Harman; the lot at 1736 is vacant. 44-80 11th Street [The Court Square Blog]: Work is beginning at Ekstein Development’s eight-story and 105-unit rental project at 44-80 11th Street, in Hunter’s Point. GF55 Partners is the architect, and concrete blocks and rebar are being assembled on-site; completion is set for 2015. Kosciuszko Bridge [DNAinfo NY]: Plans have been revealed for a new $770 million Kosciuszko Bridge connecting Brooklyn and Queens via I-278, in Greenpoint; financing is in progress. New York State DoT has “awarded a $555 million contract for the first phase” of construction, and the existing bridge will be demolished by 2017. Essex Crossing Park [The Lo-Down]: Delancey Street Associates have revealed plans for “a 15,000 square-foot park stretching along Broome Street” — located between Suffolk and Clinton Streets, on the Lower East Side. Set to break ground in March of 2015, a linear strip of surface lots will be transformed into a cohesive park; West 8 is the landscape architect.